Leading Gibraltar law firm, Ellul & Co, recently announced that it has joined TAGLaw®, a worldwide alliance of more than 160 independent law firms in over 90 countries. Ellul & Co will be the exclusive TAGLaw member for Gibraltar. Since its establishment in 1973, Ellul & Co has been instrumental in assisting clients in Gibraltar, a key global financial market, with establishing businesses and managing companies in a variety of sectors. Ellul & Co is recognized by leading legal publications, such as Chamber & Partners, as a top law firm in Gibraltar. TAGLaw members will be the first international group of lawyers to gain access to Quimbee’s innovative nano-learning platform focused on developing practical legal skills. 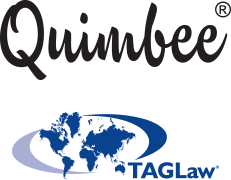 TAGLaw®, the global alliance of more than 160 independent law firms in over 90 countries, recently announced a partnership with Quimbee, the industry leading online platform for legal education. Through TAGLaw’s “Friends of TAG” program, more than 10,000 lawyers who are part of TAGLaw will gain preferential access to Quimbee’s resources and play a vital role in the ongoing development and release of new courses aimed at practicing lawyers. On May 5, 2017, TAGLaw hosted a Member Award and Recognition Ceremony to honor its most longstanding member firms. 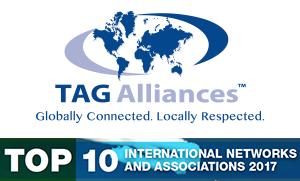 The ceremony took place during the TAG Alliances Spring International Conference in Paris, France and recognized nine founding members in attendence.